Back in the Saddle Again….different horses. Back in the Saddle again…. different horses. I have grown fond of choosing a song to open and close the studio door to. This year it is Aerosmith’s “Back in the Saddle Again”. 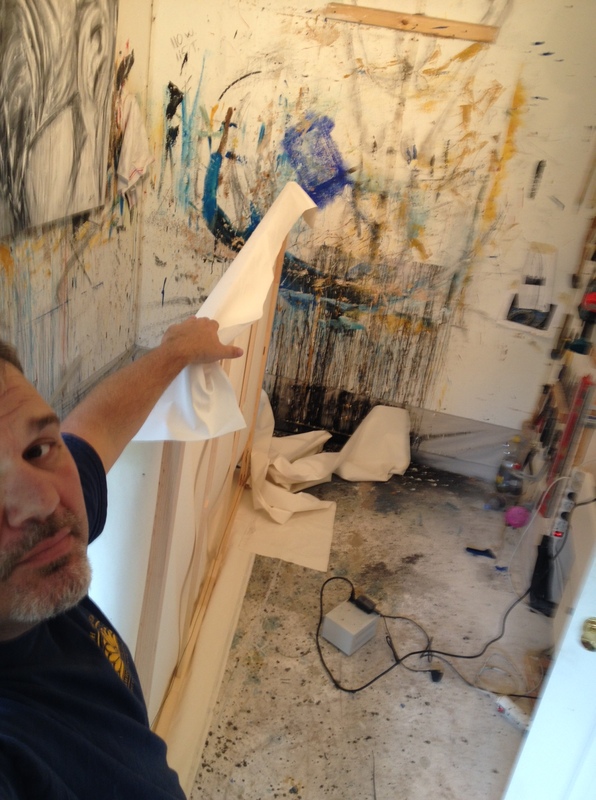 Each year when I come back to the studio I honestly do so rejuvenated with fresh ideas. This year is no different. My work this year will be addressing my life as a traveler. I fully expect Prague to be part of this journey as it is an amazing resource for ideas, but I am also looking forward to creating work that reflects the travels of my summer vacation and the places yet to be traveled to this year. When you get back to your expat community after summer break, the normal questions are asked. How was your summer? Where did you go? Did you enjoy yourselves? Truth be told, I really enjoy hearing about all the places people go. It is also a great way to get ideas for travel places that you have never been. It feels like a mini “How I spent summer” report for school. We went to Thailand this summer and while visiting with my friend Jesse he said that he feels so fortunate because he is able to take a once in a lifetime trip about three times a year. It is certainly not a way everyone would want to spend his or her time here on earth, but I feel so blessed to have stumbled across this charmed life. This life comes with sacrifices both personally and professionally. The reality is people who become great friends come and go in your life. In the studio that means that Amy who managed my work and Barry who managed the merchandise have both moved on. The great thing about this life is that it is filled with an abundance of people with integrity, intelligence, and an understanding of what it means to live abroad. With that in mind, I will be working with Marie this year. She will handle the shows, the contracts, as well as help to promote my work both here and abroad. Marie knows how to throw a party so it will all be good. I think the personal sacrifices come from the disconnect of family and friends back home. Although it is hard to be disconnected on this end I think it is even harder for the family members and friends at home. You miss the big and little moments of their lives and they miss those same moments in yours. Technology has made catching and sharing moments easier, but it doesn’t replace breathing the same air as loved ones both friends and family. The first piece this year will reflect my trip to the North Rim of the Grand Canyon. It was the first time I have seen it and I was fortunate enough to share this experience with family and friends. The canvas is stretched and is 2 meters wide by 1.5 meters tall. Yeah, thats big, but so was the Canyon…. Funny moment, as part of this trip we started and ended in Las Vegas. Interesting to say the least, but as I am typing this Viva Las Vegas by ZZ Top has come on the iPod. The music is always smarter than me. I would like to invite you to join me on the journey this year and see where the work takes us. 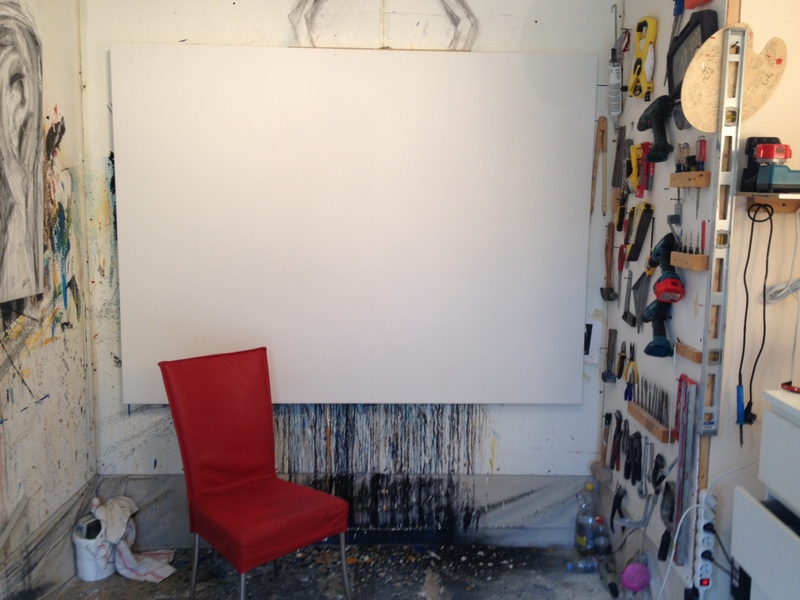 The mind and sketchbook are full of ideas and I look forward to sharing the studio with you. Tell your friends and invite them to come along. As always comments and dialogue are always welcomed. 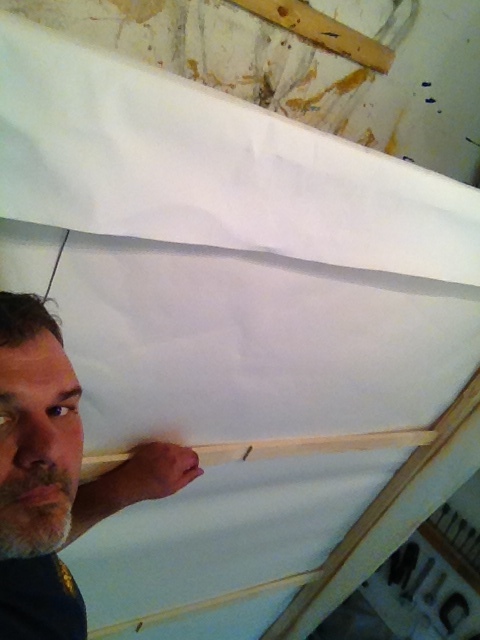 I have enclosed some simple pics of me building the large canvas for the Grand Canyon Piece.